is designed to be a first art history course for anyone desiring to add some art appreciation to their home or Christian school. All ages can learn together in these 30 minute sessions which connect other subject areas to the fine arts. 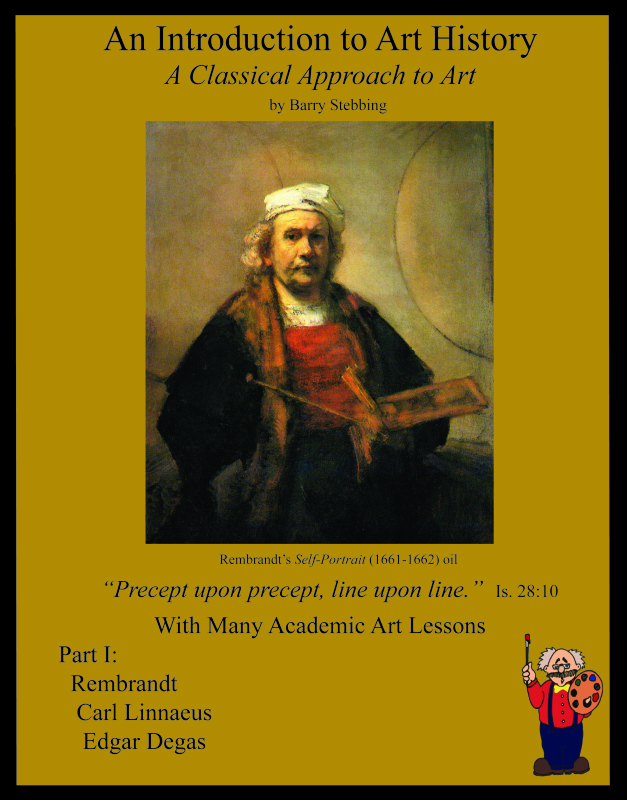 Classical educators will especially love this first text in a series, which introduces Rembrandt, Carl Linneaus, and Edgar Degas to the student, along with delightful art lessons. 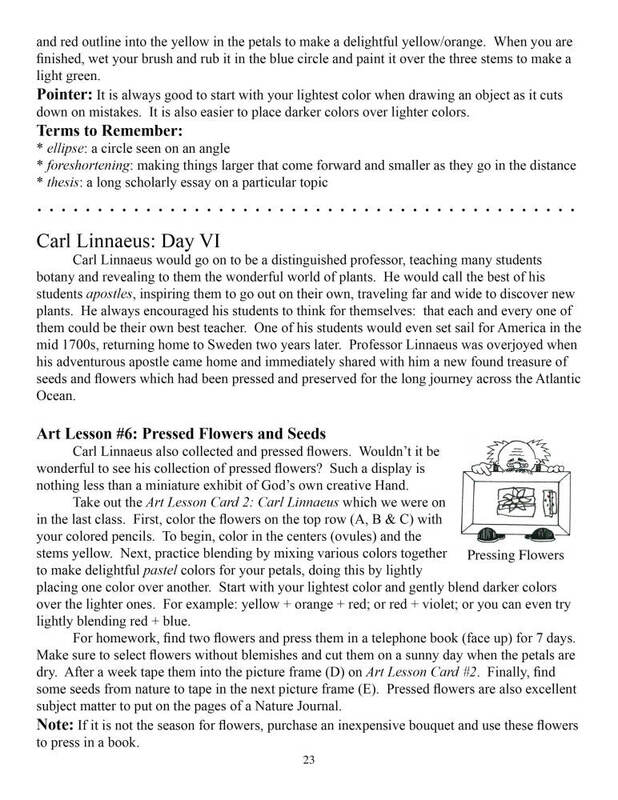 Included are colorful works by each artist, along with "Art Lesson Cards" for the art lessons. 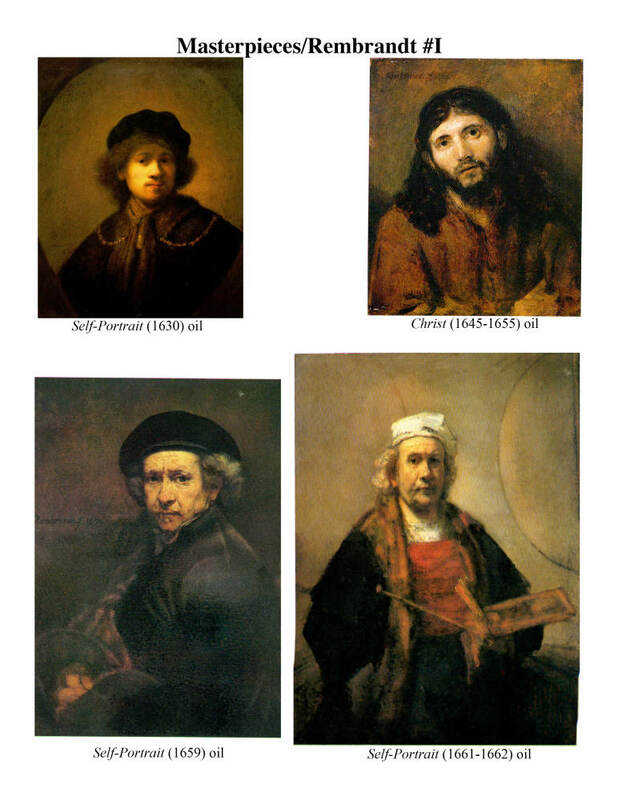 Students read or listen to short narratives about each artist, observe and study "Masterpieces", and complete their own art exercises on cardstock cards pre-punched for the included 3-ring binder, creating a delightful portfolio by the end of the course. Ages 6 & Up. There are 36 brief art history lessons, 36 art lessons, and 3 quizzes. They are divided into 12 days of lessons for each artist, combining factual information about the person's life with a brief art lesson to complete. This course is copyrighted and allowed to be used and copied by one homeschool, but is also suitable for homeschool group meetings or classrooms. As with all our books, in co-op or group settings, each family needs to purchase a book in order to be in compliance with copyright laws. Terms covered include: primary, secondary, and tertiary colors, tones, monochromatic pictures and color theory, foreshortening, Impressionism, Neo Classical period, pastels, composition, focal point, chiaroscuro, and more. 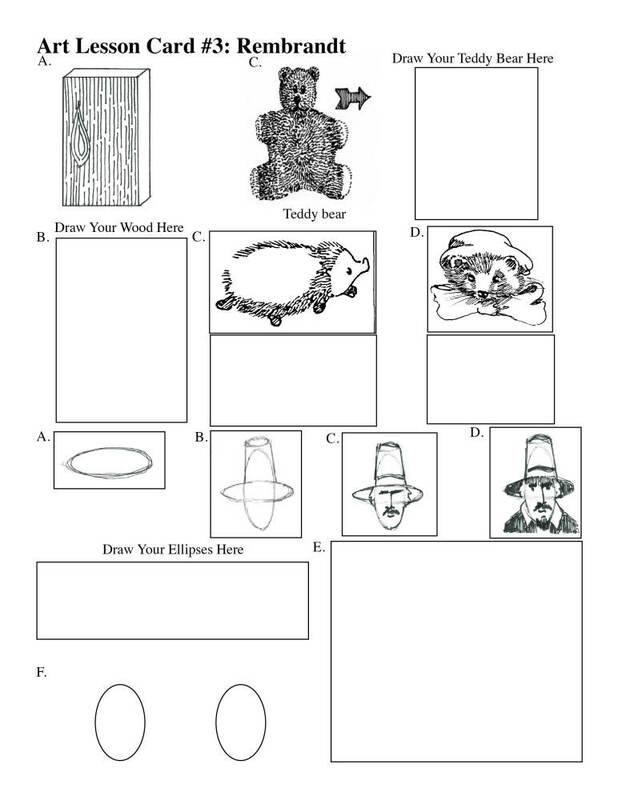 Don't be intimidated if you have no background in art history: This open-and-go 44 page text is taught at a beginner level so all ages can participate, from 6 and up. 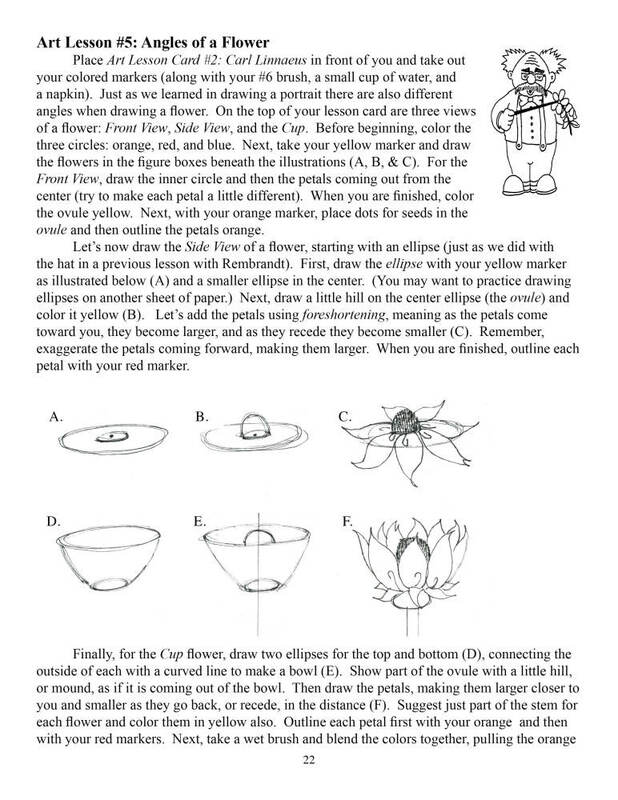 Subject area vocabulary is also taught, such as stamen, pistil, botanical nomenclature, species, public domain, draftsman, Laplands, and more. The art lessons include drawing with lines, adding texture, copying the Masters, soft lead colored pencil work, and beginning painting with markers. Quality of supplies does matter in achieving the desired results. 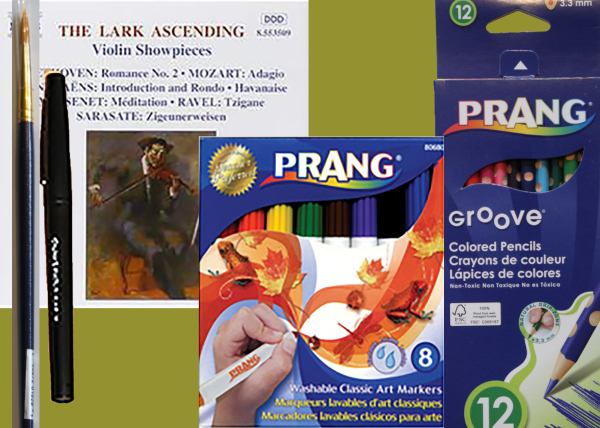 Mr. Stebbing recommends playing soft classical music for a relaxing art time. See our recommended supplies for this course below. art supply bundle for this course here.